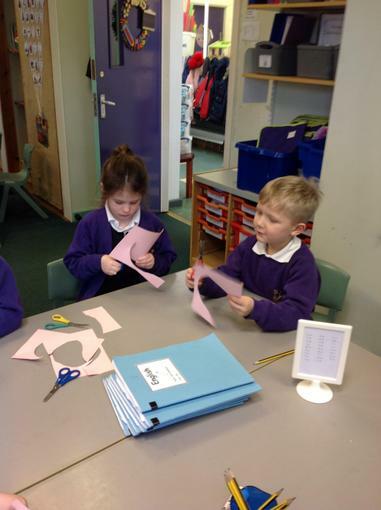 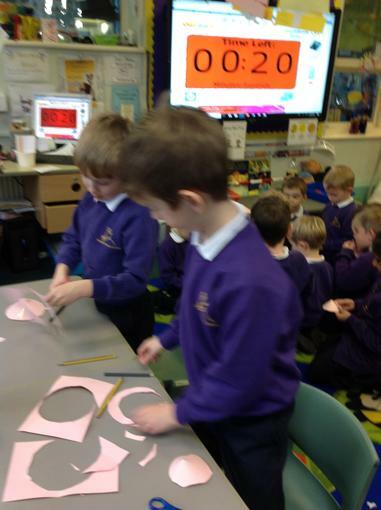 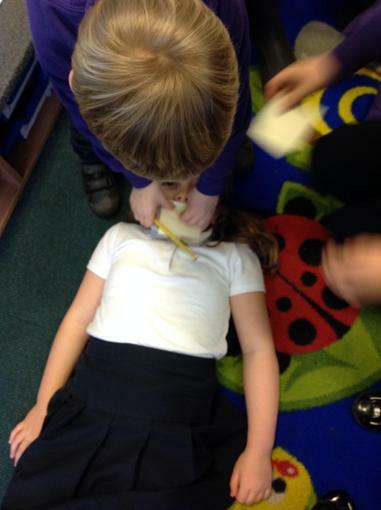 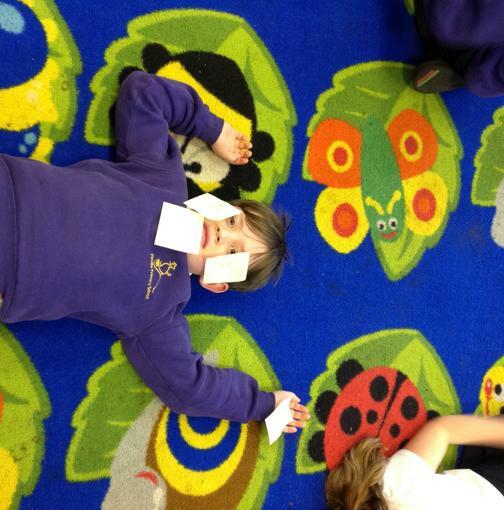 The children have been thinking about their sense. 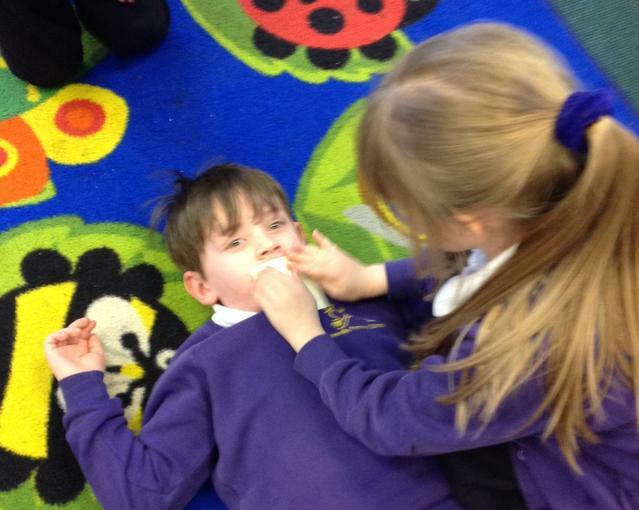 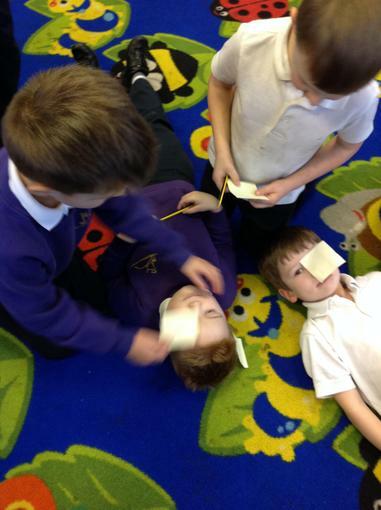 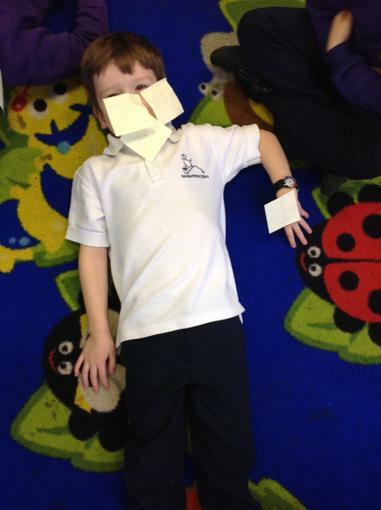 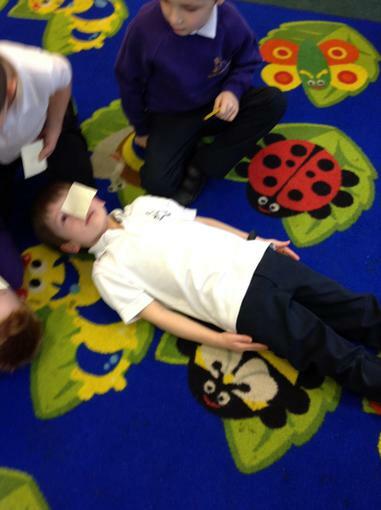 They labelled the parts of their body that is related to each sense. 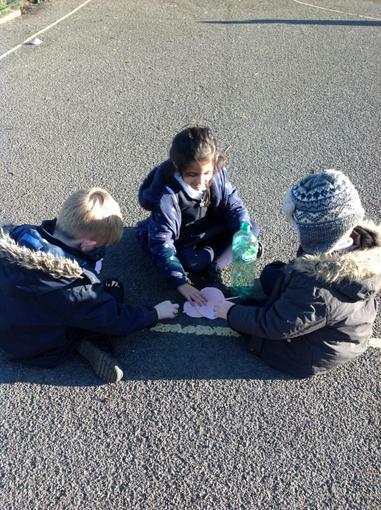 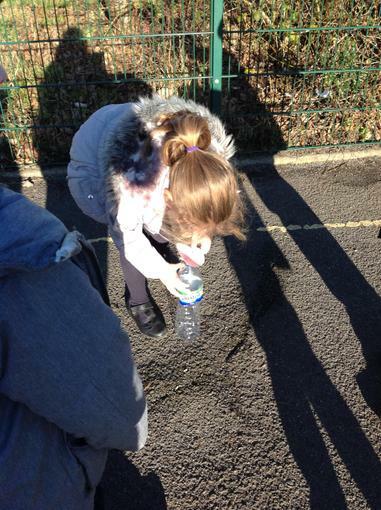 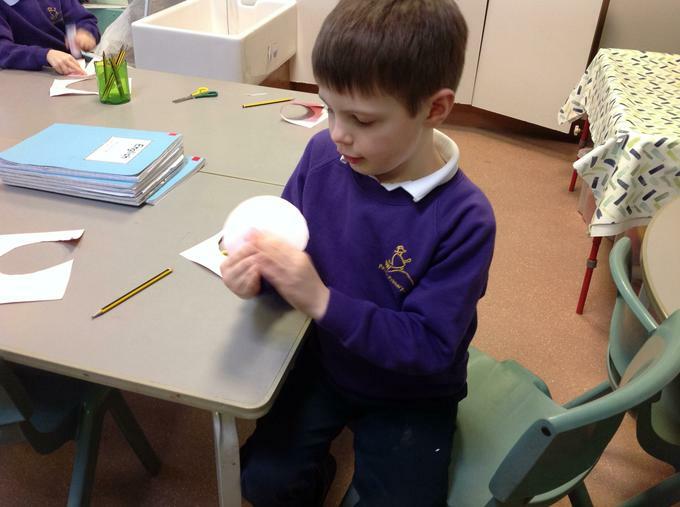 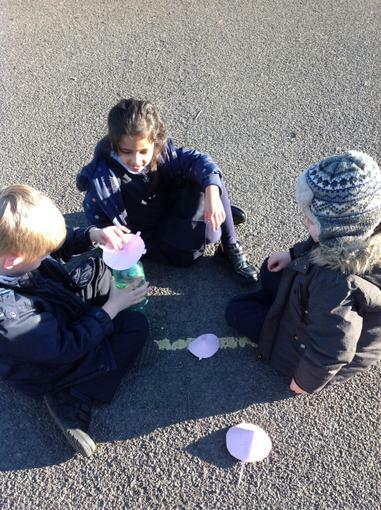 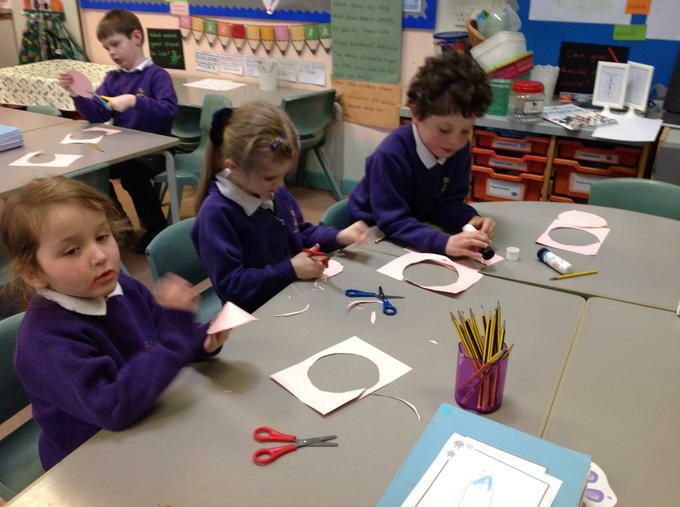 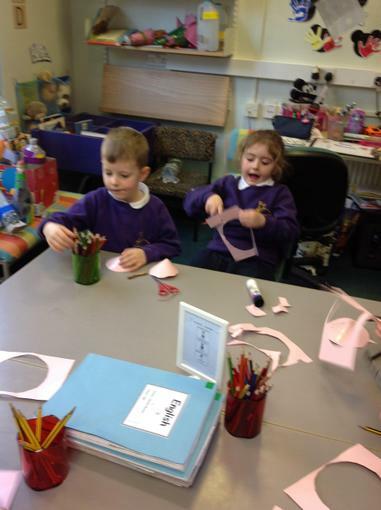 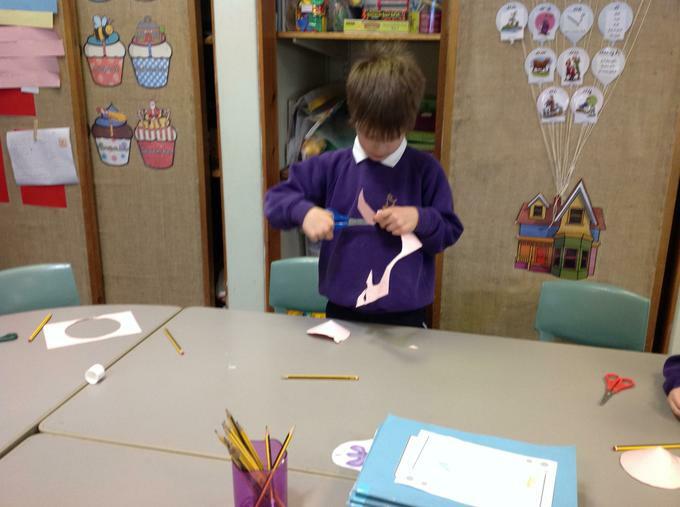 The children made space mice to send to the moon using the plastic bottles. 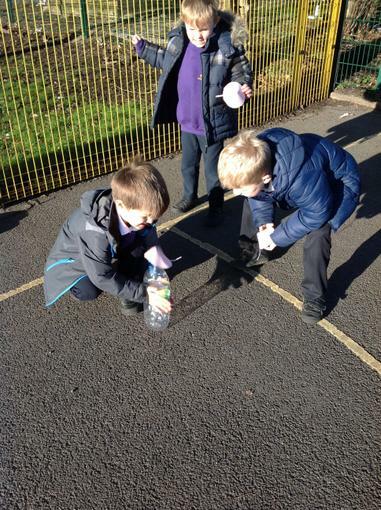 They had to squeeze the plastic bottle to launch the mouse into space. 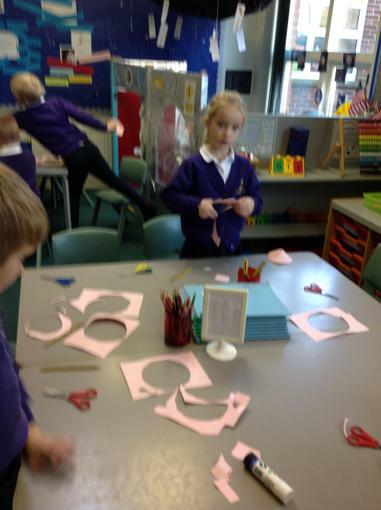 Whose mouse went the furthest? 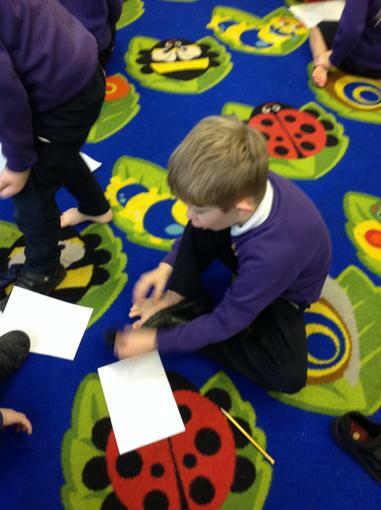 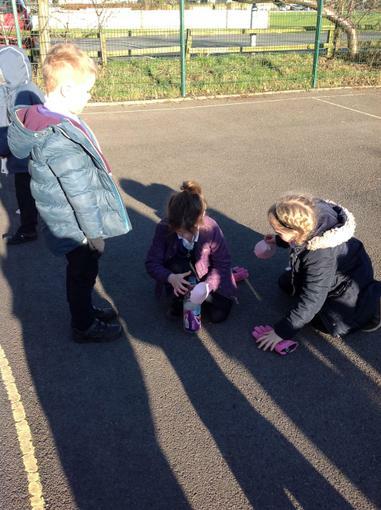 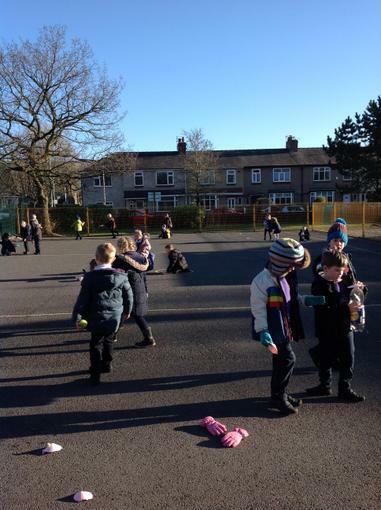 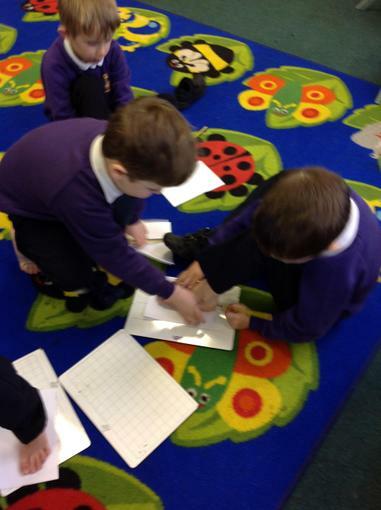 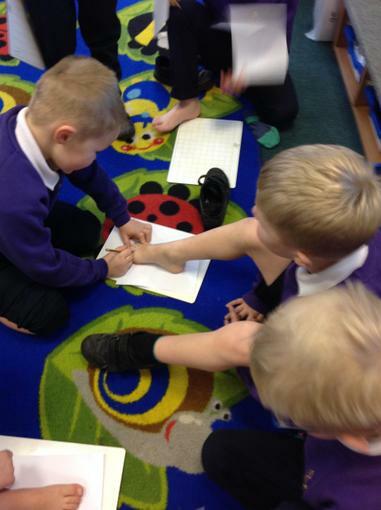 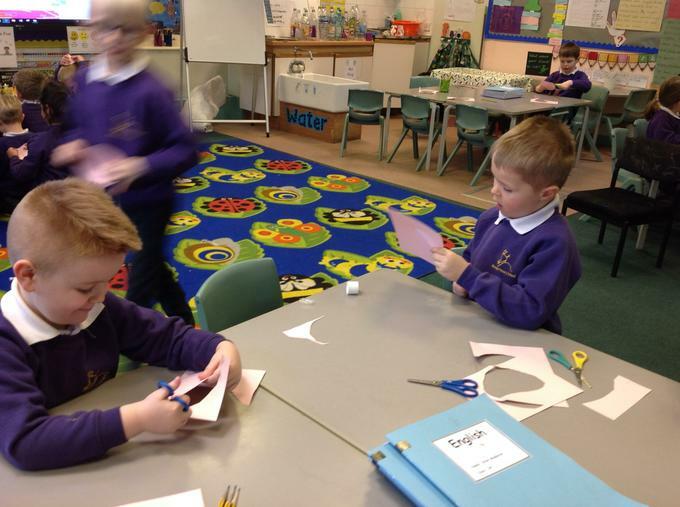 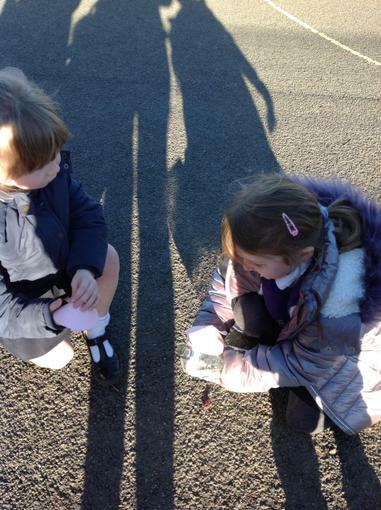 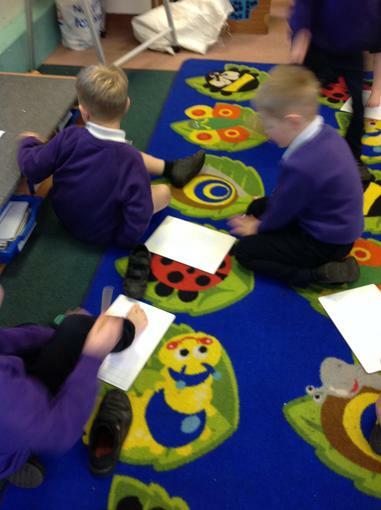 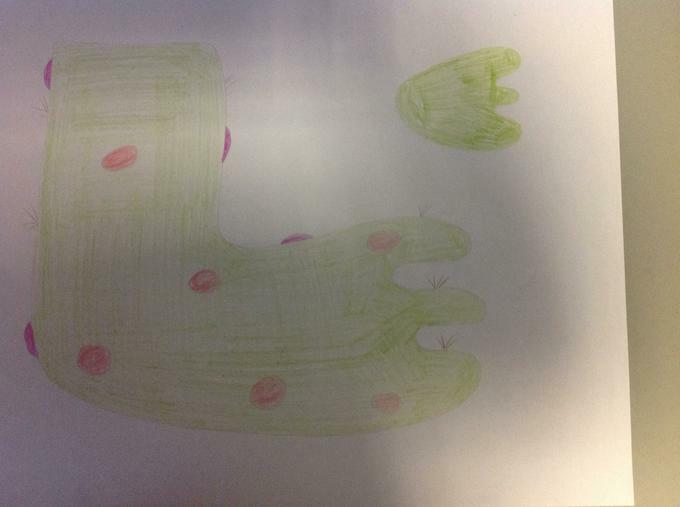 The children have been comparing one of their feet to the foot of an alien. 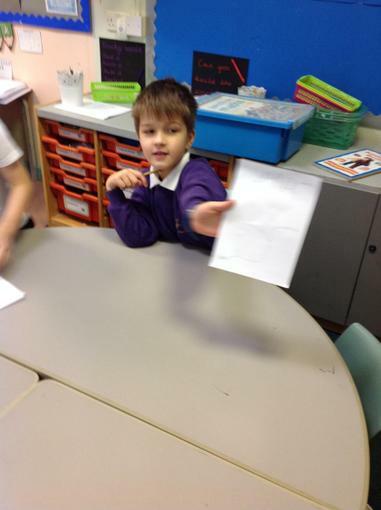 Can you see what is the same and what is different?